Hey, there's a bunch of new stuff in my Etsy shop. You should go check it out! Ninja Turtles! 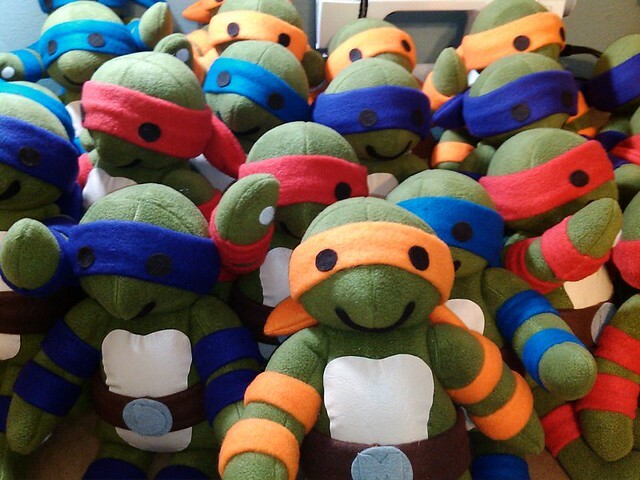 Shredder had better watch out with all these little guys after him. They are so fun to make, the little shells and bandannas come out so adorable. Plus, who can say no to teeny plus nunchucks? Nobody, that's who! 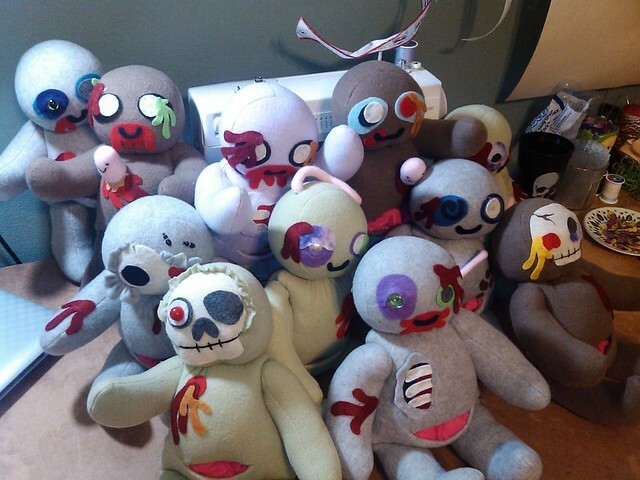 I absolutely had to make a big batch of zombies for Dragon Con! It's held in Atlanta, which is also where AMC's "The Walking Dead" is filmed. This zombie hoard is decidedly cuter, and less pungent! I'll be putting a limited number of these, as well as a few of the other dolls I've made, on my Etsy shop this weekend.